ZARAGOZA, Jan 15 2015 (IPS) - Although African countries have been lauded for their efforts towards ensuring that people have access to safe drinking water in keeping with Millennium Development Goals (MDGs), they have nonetheless come under scrutiny for failure to prioritise water in their development agendas. Thomas Chiramba, Head of Freshwater Ecosystems Unit at the U.N. 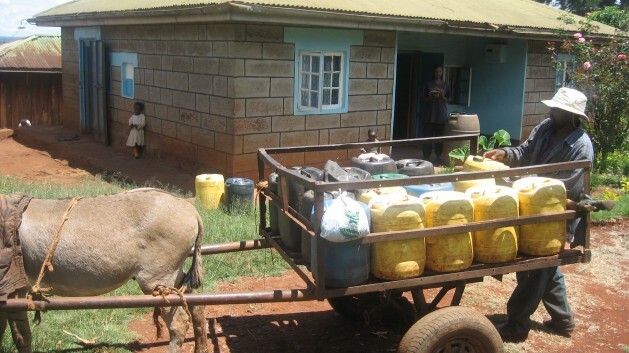 Environment Programme (UNEP) in Kenya, told IPS that in spite of progress on the third component of MDG7 – halve the proportion of the population without sustainable access to safe drinking water and basic sanitation by 2015 – water scarcity still poses a significant threat to sustainable development in Africa. While there are now more people in Africa with improved sources of water and sanitation, experts say that this is not enough. The continent is still facing water scarcity, with negative implications for growth and health. In view of the rapid and unpredictable changes in environmental systems, Chiramba said that unless Africa broadens its national and international water goals the region will find it difficult to remain economically resilient. “Water is key to the agricultural and energy sectors, both critical to accelerating growth and development in Africa,” he added. The theme of the Zaragoza conference is ‘Water and Sustainable Development: From Vision to Action’ and is at the heart of adaptation to climate, also serving as a key link among climate systems, human society and environment. One of the main aims of the conference is to develop implementing tools, with regard to financing, technology, capacity development and governance frameworks, for initiating the post-2015 agenda on water and sanitation. More than 300 participants representing U.N. agencies and programmes, experts, the business community, and governmental and non-governmental organisations have converged with the main aim of addressing water as a sustainable development goal. As a result, say experts, water management issues were never comprehensively addressed at the national or international level, nor was the key role that water can play in growing the various sectors of the economy. This year is also the last year of the International Decade for Action ‘Water for Life’ which began in 2005, and will set the tone for World Water Day to be marked on March 22, which will also focus on ‘water and sustainable development’. The primary goal of the ‘Water for Life’ Decade has been to promote efforts to fulfil international commitments made on water and water-related issues by 2015. The Water Decade has served to forge cooperation at all levels so that the water-related goals of the Millennium Declaration are achieved. The end of the Decade also marks the beginning of new water campaigns, “this time, with great focus on the impact of water on development,” said Chiramba. The Zaragoza water conference has brought to the fore the fact that the Decade has achieved the difficult task of isolating water issues as key to the development agenda and has provided a platform for governments and stakeholders to address the threats that water scarcity poses to development, experts say. “It has also been a platform for stakeholders and government to discuss the opportunities that exist in exploiting water as a resource,” said Alice Shena, a civil society representative at the event. As a result of the Water Decade, Shena noted, a broader international water agenda has been established that goes beyond universal access to safe drinking water, sanitation and hygiene. “The agenda now includes the sustainable use and development of water resources, increasing and sharing the available benefits which have significant implications for every sector of the economy,” she said. According to environment expert Nataliya Nikiforova, as a new era of development goals begins under the Sustainable Development Goals (SDGs), it is clear that water will play a critical role in development. She said that if managed efficiently and equitably, water can play a key enabling role in strengthening the resilience of social, economic and environmental systems in the light of rapid and unpredictable changes.